Vendors on one of China's largest e-commerce platforms are resorting to calling the hit PC game Diablo 3 "Big Pineapple," which sounds similar in Mandarin Chinese, as a way to dodge the site's censors. The site has banned the sale of the overseas product pending a review from government authorities. U.S. developer Blizzard launched Diablo 3 earlier this month, bringing its highly anticipated game to Taiwan and South Korea. But the launch has stopped short of coming to China, which requires imported games to be cleared by the government's Ministry of Culture. The review can take months, as was the case with one of Blizzard's previous titles, Starcraft 2, which received approval by the ministry half a year after its initial launch in July 2010. Users not wanting to wait, however, can buy the game from Chinese e-commerce site Taobao Marketplace. 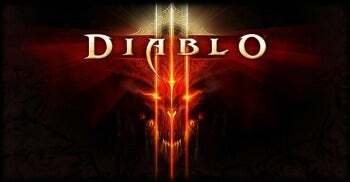 Vendors on Taobao have been selling Diablo 3 CD keys giving users access to the Taiwanese version of the game. In some cases, the CD keys have been sold for between $80 to $90. But the sale of the CD keys seems to have caught the attention of authorities. Last week Taobao issued a notice stating it was tightening regulations for online gaming products, following a demand made by China's Ministry of Culture. In the notice, the company said it would prohibit the sale of games that have yet to be reviewed by the ministry, pointing to Diablo 3 as an example. On Tuesday, searches on Taobao for the full Chinese name of Diablo 3 -- which can be translated as the "God of Dark Destruction" -- turned up no results. Vendors, however, are still selling the CD keys, but calling their product "Big Pineapple 3", which in Chinese is pronounced as "Da-Bo-Luo", and sounds like the game's English name. To further avoid censors, the vendors have uploaded pictures of pineapples to advertise their product. Many Chinese Internet users are adept at circumventing the country's strict censorship systems, which force local websites to delete posts and ban searches on sensitive content, such as anti-government related news. To bypass the censorship, users often find colorful ways to rephrase their comments, while keeping the meaning clear. A popular example is the Chinese Internet meme "Grass Mud Horse", which when said out loud, can actually mean a profane phrase. China has 513 million Internet users, according to government-backed estimates, making it a major market for game publishers. But imported games must be screened by government authorities for violent and objectionable content, which could result in the developer making changes to the product. Other games that have been delayed to China because of government reviews include a "World of Warcraft" expansion pack, which didn't arrive in China until nearly two years after its initial launch. The late launch came following a turf war between two Chinese government agencies over which had authority to approve a previous expansion pack to the game.